Fonterra Volvo Milk Tanker "Farmsource"
Home > Fonterra Volvo Milk Tanker "Farmsource"
BE QUICK. SELLING FAST, VERY FEW REMAINING! 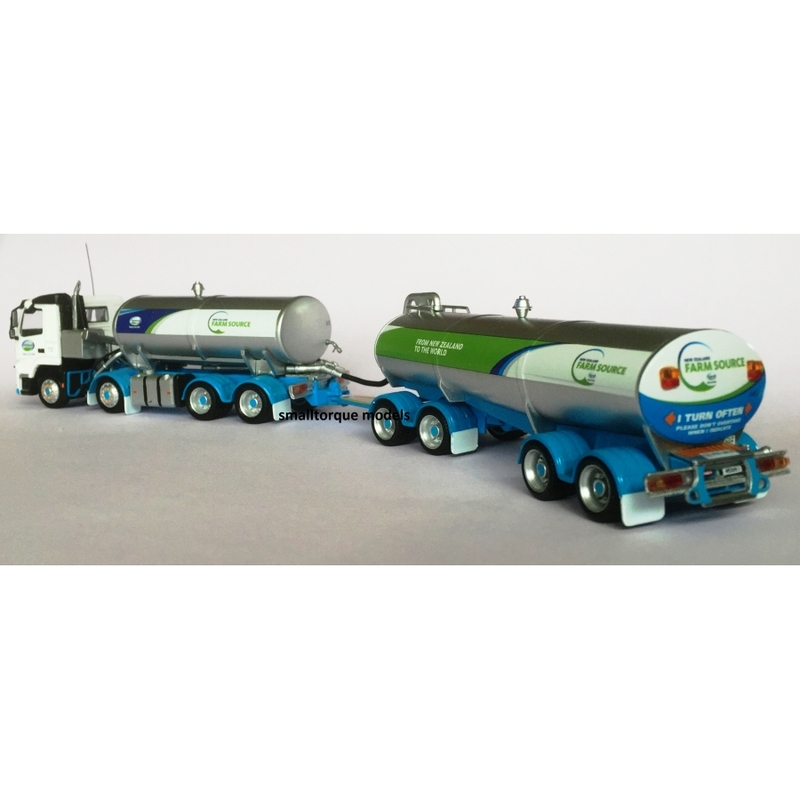 1/64th scale diecast model of a Volvo milk tanker and trailer in authetic Farmsource Fonterra livery. You wont travel far on New Zealand's rural roads without seeing a Fonterra tanker in its distinctive livery. 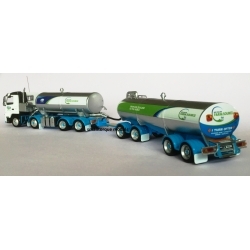 The Fonterra fleet is the largest in NZ with more than 5000 tankers. Model is a limited edition release and is not easily obtainable. Model is superbly detailed with registration plates and fleet numbers. Fonterra Volvo Milk Tanker "Milk in Schools"